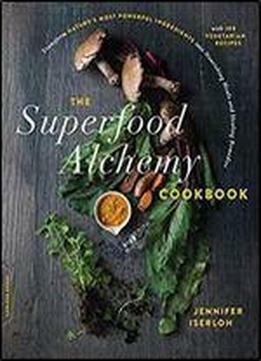 Unlock the health benefits of nature's most powerful foods with supercharged vegetarian recipes The Superfood Alchemy Cookbook shares a powerful approach to wellness. Chef and health coach Jennifer Iserloh shows how cooking like an alchemist provides a way to integrate healing practices into your everyday routine. Create dishes to: Boost immunity Reduce inflammation Restore and maintain gut health Encourage mental focus and mood balance Support gentle detox These recipes bring together nature's strongest ingredients - superfoods, adaptogens, essential oils, and healing herbs and spices - in delicious combinations that increase their healing properties. (For example, most of us know that cooking tomatoes boosts the fruits' heart-healing lycopene, but did you know that pairing turmeric with black pepper helps the body get the most from its anti-inflammatory compounds?) Each chapter also shares simple home remedies, natural body treatments, and powerful rituals for wellness in body and soul.